The scene is often the same: A classroom of first-graders buzzing with competitive enthusiasm as students jostle and talk over each other in an effort to win a teacher’s attention. Judging by the students’ passion, passers-by might think there was a new toy at stake — that maybe a bicycle or a video game hung in the balance. Few would guess that all this fuss is over the chance for a half-hour of free literacy tutoring from some of Wayne State University’s best and brightest. But it is precisely this infectious roar and good-natured competition that marks the full measure and impact of the Detroit Fellows Tutoring Project, the Irvin D. Reid Honors College program that offers the free tutoring services that has the kids in Detroit Public Schools Community District so eager. 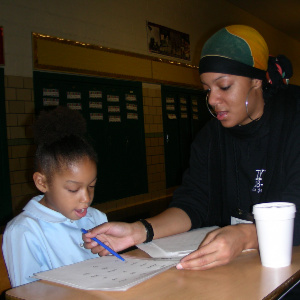 Since launching as a pilot program in 2004, the Detroit Fellows Tutoring Project has accumulated more than 61,120 service tutoring hours, providing supplemental literacy education to hundreds of students from kindergarten to second grade. A student is chosen at the beginning of the school year at his or her teacher’s discretion. The week after school starts, the tutor meets the child at the school — but outside the classroom — twice a week to work on fundamental literacy skills. By eschewing the traditional classroom setting, tutors are able to get kids’ undivided attention. Typically, Wayne State tutors earn credit through a university course that requires them to work with the students for two-and-a-half hours each week for 12 weeks, or a semester. Tutors have the option of choosing the public school where they’d like to work, picking from a list of participating schools. 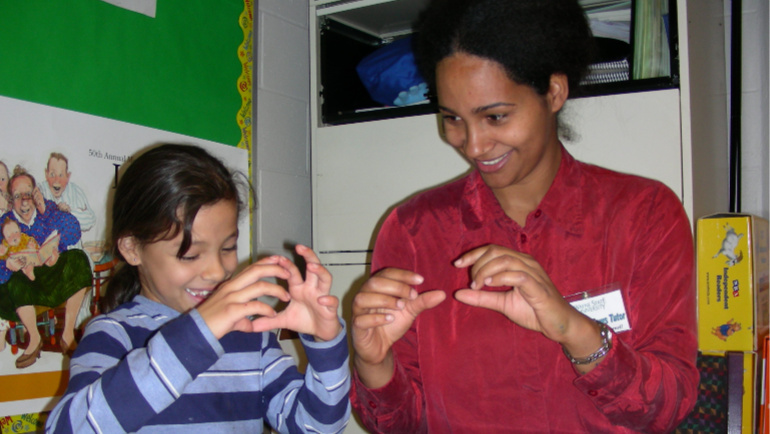 Each elementary school has a school coordinator who the tutor works with for additional support. The school coordinators work with both the teachers and tutors to determine which classroom and students best fit the needs of the program. To assemble the Detroit Fellows Tutoring Project, Rashid sought out reading specialist Dale Thomas and retired school principal Marcella Verdun. Both worked with Rashid to coordinate the program’s curriculum. Though equipped to instruct students up to third grade, the Detroit Fellows Tutoring Project has seen its strongest impact with first-grade students. The curriculum focuses on the five basic components of reading: phonemic awareness, phonics, fluency, vocabulary and comprehension. Thomas said the curriculum is modeled to touch on each of the components during every tutoring session to build momentum and consistency.